In Asia and the Pacific, there has been some progress towards greater equality. Maternal mortality rates have dropped by over 50 percent between 2000 and 2015. An equal number of girls and boys are now enrolled for primary school education, and near parity exists for secondary and tertiary education. But overall progress remains much too slow. On our current trajectory, South Asia would achieve gender equality in 60 years, Central Asia in 130 and East Asia and the Pacific in 160. At this rate, most women will be dead before they are equal. We need to speed things up. With this objective in mind, the obstacles women face to find decent work or set up a business in Asia and the Pacific deserve special attention. Female labor force participation has declined in our region over the past thirty years. Most working women are trapped in precarious, informal employment, characterized by low wages and dangerous working conditions. Women are relied on to give up to six hours unpaid care work a day: invaluable to society but thwarting career prospects, ambitions, and political representation. We know that setting up a business is a key means for women to empower themselves and break out of poverty. But just as becoming an employee is harder for women, so is becoming an entrepreneur. Barriers include a lack of access to education or training, and limited access to ICT, market information, and finance. Indeed, women-owned SMEs with reliable funding sources are few and far between, in part because land is often required as collateral for credit in a region where women make up a small minority of landholders. Burdensome registration procedures combine with societal prejudice to frustrate women’s entrepreneurial potential. The good news is that despite these constraints, the number of women entrepreneurs has been increasing in the Asia-Pacific region. Women entrepreneurs in ASEAN countries have been particularly successful. The proportion of firms with women owners stands at nearly 70 percent in the Philippines, over 60 percent in Thailand and over 50 percent in Viet Nam. This has been achieved through gender-responsive budgeting, programmes to support SMEs, and strong civil society advocacy to ensure women’s entrepreneurship is prioritized in national policymaking. 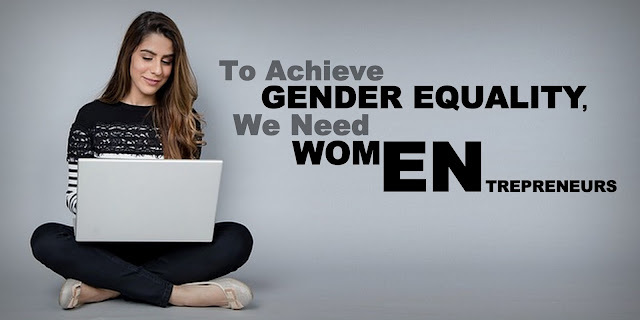 At the United Nations Economic and Social Commission for Asia and the Pacific (ESCAP) we want to build on this success and work with countries across policy areas to develop a gender-responsive entrepreneurial ecosystem. Four areas are critical to doing so. Second, we must improve women’s access to ICT and innovative technologies. Dedicated support is needed for women SME owners wishing to adopt the latest technology to improve business processes, product promotion and sell into bigger markets. This should be accompanied by lifelong education and training opportunities to enable women to ride successive waves of ICT innovation. Third, we need to promote a gender-responsive policy environment. Public and private institutions should increase the number of women entrepreneurs on advisory boards and the banking sector should be incentivized to serve women better. Streamlined business registration procedures and proactive outreach to potential and existing women entrepreneurs can make a real difference. Women entrepreneur networks, ensuring women’s voices are heard clearly in chambers of commerce, business associations or civil service commissions, must be part of the picture.